One cow will produce up to twenty tons of compost per year depending on accessibility of crop residues. Twenty tons of compost contains close to eighty kilos of nitrogen, forty kilos of phosphate and ten kilos of hydroxide. If valued against current fertilizer costs, this composition is valued at KSh. 2000. 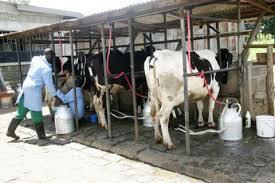 The manure made from three cows is comfortable to supply the quantity of gas required for cooking and lighting within the farm. Oxfarm Organic Ltd enlightens modern farmers on the best farming methods. We also have a variety of seedlings which we sell at affordable prices to our customers. Book yours now!